So Halloween is only a few days away...mere shrieks of time... and I have something extra special to share with you. One of my favorite poets has agreed to let me post one of her marvelous poems here on the blog and I think you'll find it absolutely perfect for the season..
of midnight black and october orange. identical jack o lantern grins penetrated the murky twilight. on bicycles fashioned from the mottled ivory of ancient bones. heads cocked; watching the eerie procession below. the moment the harvest moon rose, a sinister orange above the trees. hoarfrost and sweet cinnamon, decaying mulch and the acrid tang of woodsmoke. Isn't that wonderfully evocative of All Hallow's Eve? I love it! 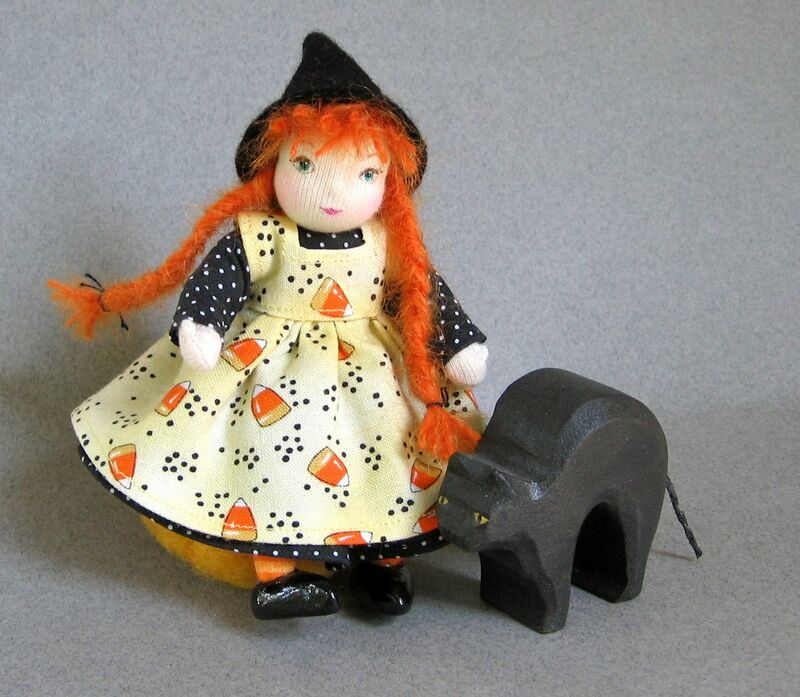 I really like your witch dolls and am happy I have one. 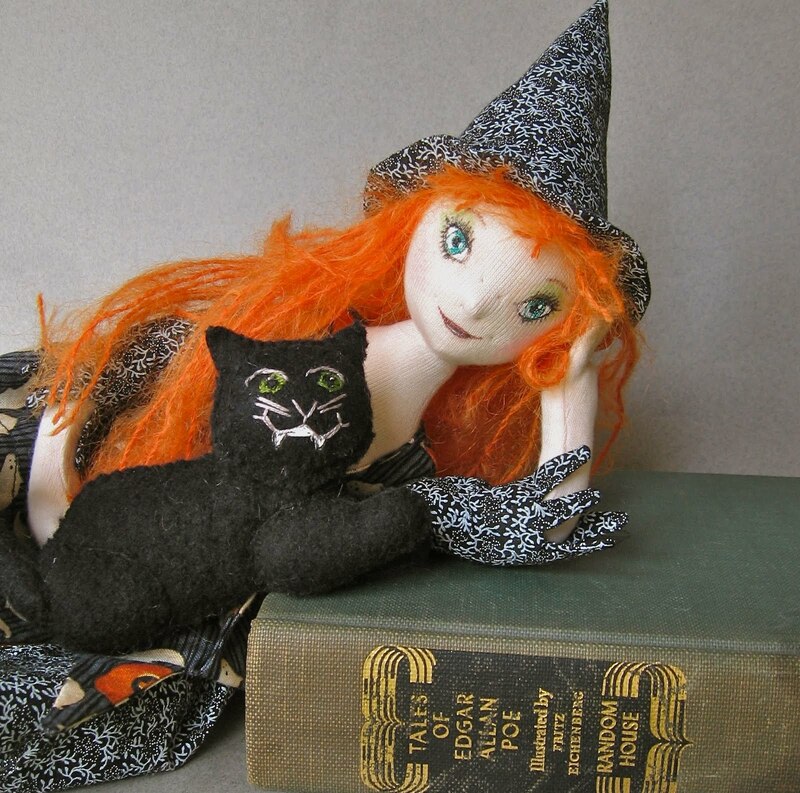 Let me know if you ever have another crow lady doll. Thanks for putting me into the Halloween spirit with your adorable dolls and verse! Such lovelies every time I come to call:) I hope you have a very wonderful Halloween! Just found your blog through Aquariann's Autumn Blog Hop. I too love dolls and am impressed with your creations. Can't wait to see what comes next. so beatifull dolls. Also your last post. They look so sweet. Hopefully they will take a smile on the Kids Faces.